Freshly Made Sketches: Winners For Sketch 194! Over 100 amazing entries in the gallery this week! Wow! I enjoyed stopping by to check them all out! There were so many wonderful variations of the sketch - tough to pick just one! 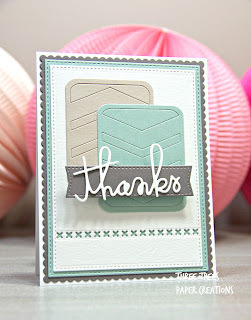 Deanne's card stood out to me because of the amazing amount of detail in her design yet it remains clean and simple! Her work with die cuts is amazing and the composition is spot on! The soft pretty colors work so well together! Congrats, Deanne! They are all spectacular! Congrats to all of the winners! Thank you!! I love playing along really appreciate being mentioned! Love the Queen of Clean card - Stunning! Congratulations Deanne on a fabulous card and to all the other princesses too on their creations! Thanks for choosing me as your Princess Amy - made my day! Aw, thank you, Karren, for picking my card!!!! Made my day! Beautiful cards, everyone! Thank you Jen for selecting my card! I am very thrilled to be selected! Congrats to all the other winners!